Swim. Nothing else matters to Brynn as she trains her body and mind to win. Not her mediocre grades and lack of real friends at school. Not the gnawing grief over her fallen hero father. Not the strained relationship with her absent mother and clueless stepdad. In the turquoise water, swimming is an escape and her ticket to somewhere--anywhere--else. And nothing will get in her way of claiming victory. 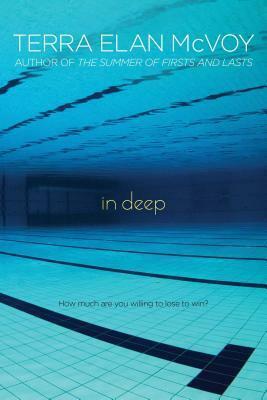 But when the competitive streak follows Brynn out of the pool in a wickedly seductive cat-and-mouse game between herself, her wild best friend, and a hot new college swimmer, Brynn's single-mindedness gets her in over her head, with much more than a trophy to lose.